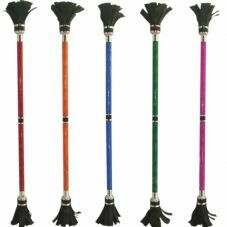 We have a great, ever expanding range of devilsticks and handsticks. 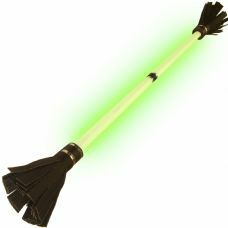 The devil stick is a classic juggling prop formed of two hand sticks and a baton. 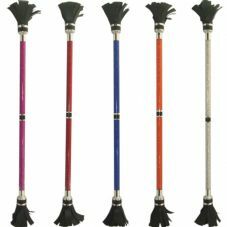 We have a devil stick for all levels of skill, whether you're just starting out or perfecting the art of devil sticking you'll find what you need here! 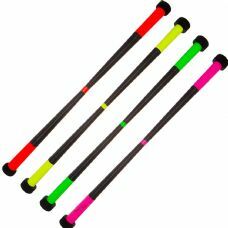 We also stock a full range of fire devil sticks for those that have mastered every trick and want to take things a step further. 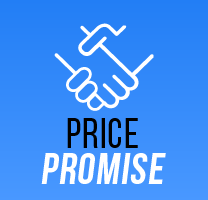 Our range includes beginners devil sticks from Beard at great prices and featuring UV grip tape, our own wooden and fibreglass devil sticks (the fibre being much lighter) and our Jac Products fire devil sticks. 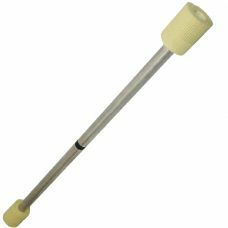 We've also got a great separate range of control sticks with glitter or multi lens decoration. 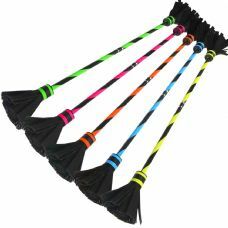 Devil sticks can also make superb staffs for kids as a full sized staff can be too large. As with all fire equipment please remember to follow safety rules when devilsticking with fire, for full information please see our Fire Safety page.